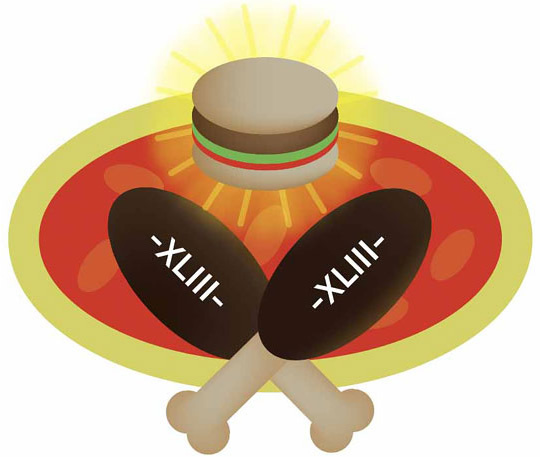 Since Super Bowl Sunday is the second largest U.S. food consumption day, following Thanksgiving, I propose to mark this unofficial second (or for some people first) national holiday with the elements that any self-respecting football fan or American cannot go without: pizza, burgers and chicken wings. So this logo is a celebration, an ode to the fan and America's favorite pastime. The only graphic requirement is to design each food item in the shape of a football.